Pandit Deendayal Petroleum University is located in Gandhinagar, the Capital city of Gujarat with 100 acres Campus. PDPU has been established by GERMI as a Private University through the State Act enacted on 4th April, 2007. It has been promoted by Government, Industry & Energy Companies to create a world class University in energy education and research with special focus on the oil and gas sector. The University offers programs like Engineering & Technology, Management, Humanities and Sciences. Over the years, PDPU has developed into an internationally state of the art University with all amenities in campus. Our University has 4 schools namely School of Petroleum Management, School of Petroleum Technology, School of Liberal Studies & School of Technology. University has set up State of the art Laboratories in each discipline with support of Industries, Knowledge partners and internationally reputed University partners. As on date, PDPU has many Centres of Excellence in the field of Energy, Infrastructure and Management disciplines. School of Liberal Studies adds a new dimension to this otherwise, professional nature of University. Students have shown tremendous talent and innovation in field of education learning & research and to build the institute reputation and recognition. PDPU provides international exposure to the students to develop students as global professional and create visibility of the University in global educational scenario with collaboration of reputed universities abroad. Faculty with their experience and immense Knowledge to the subject in specialization plays vital role in upbringing the student’s development. University offers liberal scholarships & facilities to students and faculty compared with the best in Academics to nurture all-round talent. I welcome all to this reservoir of knowledge. Dr. C. Gopalkrishnan is Professor Emeritus at Pandit Deendayal Petroleum University. He was also Director in Charge at the School of Petroleum Management. 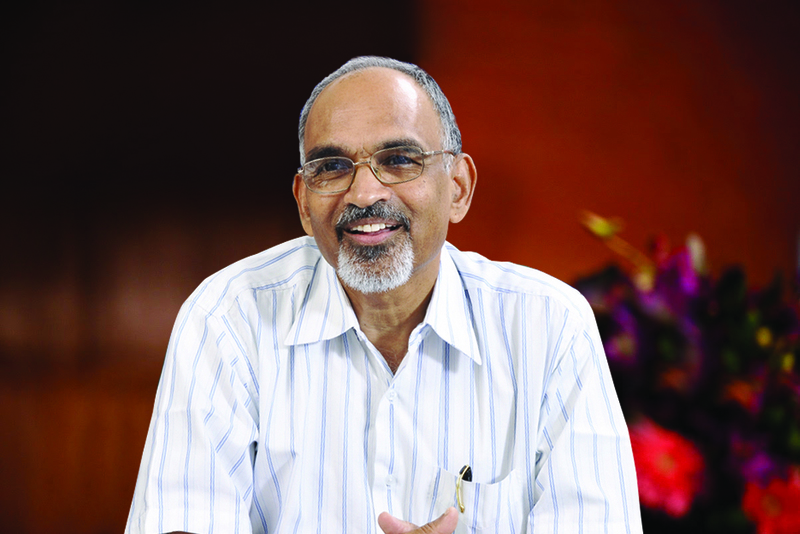 He was formerly Director, Professor of Strategic Management and Entrepreneurship, and Dean of Faculty of Doctoral Studies and Research at the Nirma University. He was also on the Board of Governors of Nirma University. He has over 60 publications in journals, chapters in books and in Economic & Financial newspapers. He has co-authored a book, Trade Unionism & Industrial Development (1989), (Ashish), and co-edited two books, Creating Wealth through Strategic HR & Entrepreneurship (2009), and Partners in Success: Strategic HR & Entrepreneurship (2009) (Excel). His recent book The Entrepreneur’s Choice: Cases on Family Business in India was published by Routledge (Taylor & Francis Group), recently. He had been a visiting professor at the Indian Institute of Management, Ahmedabad, Mudra Institute of Communication, Ahmedabad, and Institute of Rural Management, Anand. Gopalkrishnan was a Canadian International Development Agency-UGC scholar at University of Regina, Canada in 1992. He was also CRMS fellow at the Indian Institute of Management, Ahmedabad in 1986.